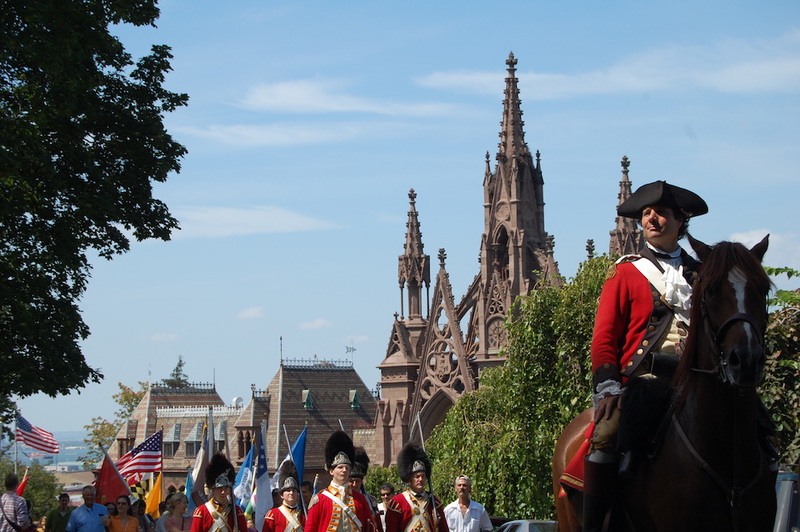 Mark the 241st anniversary of the Battle of Brooklyn with a truly revolutionary night. Stroll Green-Wood’s dusk-lit landscape as Revolutionary War reenactors illuminate life at the time of our country’s battle for survival: setting up camp, cooking, socializing, and steeling themselves for the next day’s battle. There will be dance demonstrations, festive music, 18th-century food to sample, and storytelling about battles won and lost amidst the glow of a campfire. The songwriting duo Charming Disaster will provide musical interludes. As a special treat for the evening, American food and drinks historian and raconteur, Tonya Hopkins, will lead a rum talk and tasting featuring Brooklyn’s own Van Brunt Stillhouse’s colonial inspired Due North Rum and Jersey Artisan’s early American styled Busted Barrel Silver & Dark rums. All other Tickets: $20 for members of Green-Wood and BHS / $25 for nonmembers.